Digital Alchemy | How AI ready are you? It is safe to say that artificial intelligence (AI) has undergone a significant resurgence in popularity over recent months and years. This can be attributed to a number of factors including increased investment in the sector, greater awareness of AI amongst the general population, and noticeable AI developments across the board e.g. in areas such as fraud detection and e-commerce. Despite these impressive developments, passionate debates still rage amongst marketers as to whether AI is actually necessary? The simple answer is yes. AI and machine learning are key to unlocking our ability to comprehend large volumes of data and predict customer behaviour. Humans make decisions based on what we know or what we’ve experienced and that’s a serious limitation as our brains can only process a certain amount of information. We simply can’t comprehend data in as broad a context as a machine. Often the insights that lead to the biggest gains are not the ones that are easily found. AI gets smart about finding patterns and delivering back opportunities and insights that we either never thought of, or finds them in places we never thought to look. By understanding how your customer is likely to act, you can add value to the customer experience by delivering truly personalised offers and messages that are suited to each customer. We at Digital Alchemy have already seen AI help one of our clients achieve over 20% sales increase by using machine learning as part of their real-time next best offer in their email campaigns. 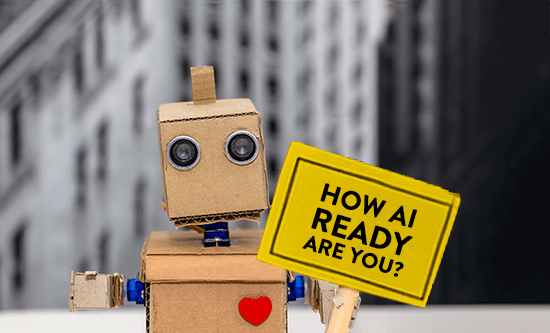 As with any business decision, should you choose to initiate a more robust AI strategy, preparation is the most critical element. Before doing anything, it is essential that you map out what your ‘AI vision’ is and what you hope to achieve. Only then will the exact course of action be able to be fully understood, including knowing what building blocks need to be put in place first. Following a planning phase, the next important step is having automation built into your business for real time data collection. This is especially true in cases where large amounts of data are currently being collected via repetitive and manual processes. Without automating the data collection processes prior to an AI rollout, it is impossible to operationalise or sustain a successful implementation. In short, organisations will need the right resources, right processes and right data sets to guarantee AI success. At Digital Alchemy, we understand that implementing AI is a critical business transformation and it can be difficult to know where to start, especially with the abundance of customer data, both online and offline. That is why we developed uDecide, a dynamic decisioning engine that demystifies the complexity of your data by using a machine-learning algorithm to make real-time decisions on products or incentives for each customer based on his or her unique history of transactions and behaviours. AI is quickly becoming a game changer in marketing and if you don’t want to be left behind, it’s time to upgrade your business intelligence.